Bendable curtain tracks are a fantastic way to transform your interior design. They are also great for many different uses such as partitioning a room or over a window and make the project of dressing a window very simple. Even if you have a corner window, arched or bay window. There’s a bendable rod out there that will suit your particular window and make the difference between regular curtains and ones that have a true fit. Bendable curtain tracks are far more convenient for covering windows that have unusual or irregular shapes. Unlike your normal prefabricated tracks, bendable curtains can be shaped to your particular needs. When you’re on the hunt for a large selection of bendable curtain tracks, theflextrack.com is the place you want to look. When looking for bendable curtain tracks you’ll have to decide which material you want them to be made from. You can find them in resin as well as aluminum metal. They also come in a wide array of sizes so if you’re windows have differing widths, you needn’t be worried about finding the right length. If you’re concerned about where you can or should mount your curtain rods they can be installed on the wall or on your ceiling. The bendable curtains sold by The Flex Track include mounting instructions. There’s also curtain hooks and end stop,s both necessary in having a beautiful functioning curtain. 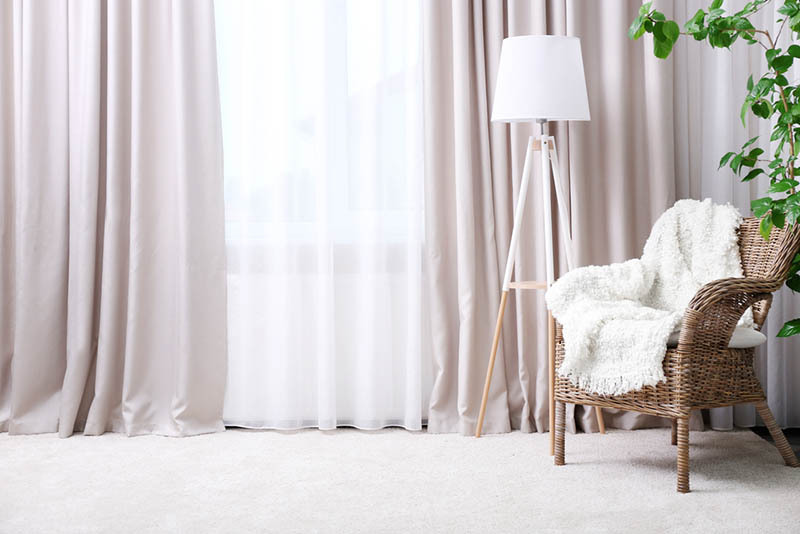 If you are concerned about having to hire a handy many to install, you’ll be glad to learn that these curtain rods are an easy install project and are just as simple to maintain or fix. With the knowledge of your new bendable curtain tracks being an easy DIY project, you may be wondering what kind of weight a bendable rod can hold. A single track of bendable curtain track can hold up t0 33 pounds. This can be held so that before you’ve hung your curtains you’ll know that they will be supported completely, not falling down. When you are shopping for new bendable curtain tracks you should know the weight of your curtain before making any purchase decisions. The rods available on the Flex Track store are made to hold both medium and lightweight curtains. If you have more than a few windows in your home that need new curtain rods you may be cautious about the costs. However, bendable curtain tracks are quite affordable in comparison to other options. The price will depend on a few factors such as the size of the rod, No matter what kind of bendable curtain track you are looking to get you can find one that fits your window and looks gorgeous. One last note, if you aren’t thinking of using these in your home, don’t worry. These bendable curtain tracks are the solution for not only residential homes but commercial spaces as well. They are great for businesses, boat, hotels theaters, shower curtains, and many other applications. Buy them online at Flex Tracks store!